Upon the suggestion of the family doctor to get out of the city, (more than likely for Jane or Mary's improved health)., Catherine found and fell in love with "The Pass", using her own funds to purchase a beach lot, her sons then built her a cottage. The most influential, powerful, and prosperous businessmen in New Orleans were the factors, commission merchants who acted as agents for planters in Louisiana and surrounding states. There were more than 450 commission merchant and cotton factor firms in New Orleans in 1861, handling transactions for over 9,300 planters in Louisiana, Arkansas, Mississippi, and Texas alone. 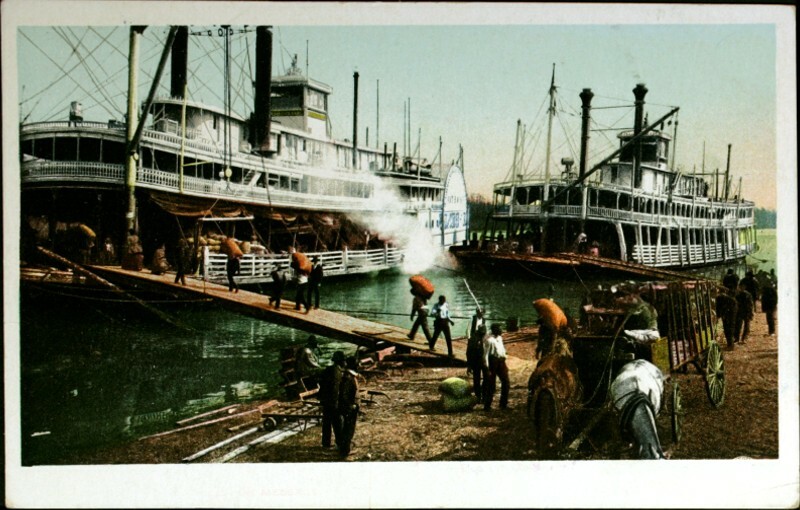 Louisiana exported such large quantities of cotton and sugar that some factors specialized in these products alone and were often the most wealthy of all commission merchants. Arthur and Catherine lived in the Second Ward and by 1860 were renting to numerous families. We are not sure if this was in one building or houses on one block. Initial indication is that it was one big building. Arthur was listed as a House, Real Estate and General Agent, as well as Broker. He was constantly traveling and did buisness in New York and Mexico. Arthur became a Mexican citizen in order to trade there. Up until thier deaths they were both very busy people. He was also in the Liquor trade, in which family all over the country participated in. above is the Customs House on Canal Street. 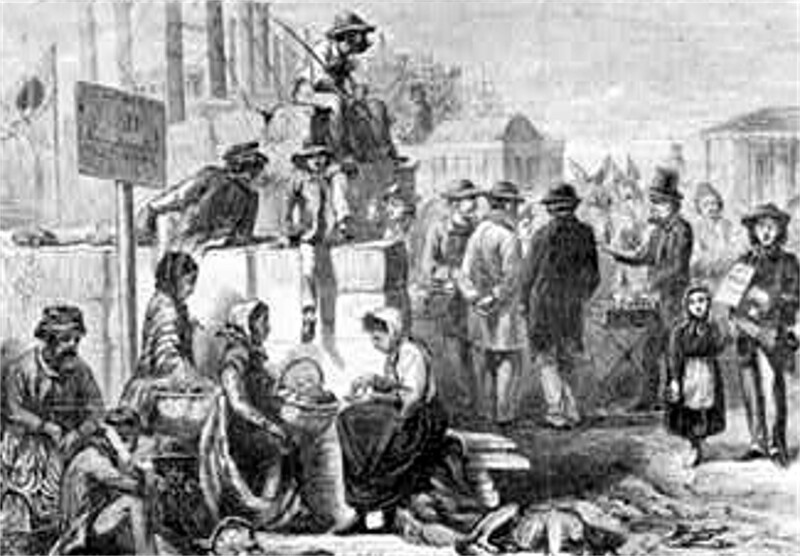 In 1853 New Orleans was a bustling hub of commerce. Everyone was living well, everyone was prosperous. Then the dreaded Yellow Fever struck (they had not had it since 1847 and thought it was gone), at first it was kept quiet, untill the loss of life reached one hundred persons a day. With so much death it was impossible not to panic, and with the panic the fever spread. We are getting a better picture of what Arthur dealt in. Growing up, Arthur's family was well versed in the manufacturing of linen, and paper, we know that his family also smuggled liquor and tobacco past the British Reveneue Officers, which was a perfectly acceptable, many of the neighbors were doing the same. John Liversedge tells us that he was suppose to have immigrated here to expand the family linen business, however this is doubtful since linen was in decline by the time he immigrated. As well, Arthur lived in cotton country. It is more likely with the many family involved in shipping, by train or by sea, and other family memebers involved in the wholesale liquor trade and other friends still employed as customs house inspectors, as well as merchants, that it was most probable that one of the products that Arthur was involved in was liquor. He was after all, before his immigration, a spirit merchant in 1819. There seems to be a rather large family network for distribution of liquor..To date we are uncovering more and more, even though the going is at times very slow. Wholesale Liquor dealers all over the country were related to the family. "Mr. and Mrs. Arthur Marmion, my grandparents, came to America about 1833 from Newry, County Down, Ireland, not Belfast, with four small sons, Lawrence, Richard, James and Henry, and a baby daughter, Jane Elizabeth Marmion. Another daughter, Mary Ellen, was born four years later, in Maryland. They first settled in Indiana hoping to make farmers of their sons, but eventually, on account of' Jane's health, moved further south to Maryland first and later to New Orleans, arriving in the Spring. They decided to make their home there, so grandfather went into business. As the warm weather came, the usual fever of Yellow Fever in all southern ports, grandmother and the children were sent to the Mississippi Coast by their doctor, who owned a house there, now known as Long Beach. They were so well pleased with the climate and beauty of' the Coast they bought land near Pass Christian and built a home, the boys helping to erect it before leaving for positions in New Orleans. Lawrence and Richard (married) made their home there. James and Henry went to Texas where they married and made their homes. During the Civil War, grandmother, who was a born nurse, offered her services to the Confederacy and during the war was stationed at Culpepper, Virginia. Her sons also served in the Confederacy Army. In 1851, Jane married Tom Nelson, of Denmark, (Sojero Island). Three sons and six daughters were born to them. During the Civil War a blockade runner landed on the Coast trying to dispose of his supplies. He offered my mother a box of tea, the only one he had, for Sixteen Dollars, in Government money. He would not break the box, so my mother, after weighing of the question to buy, or not to buy, weakened when she thought of the pleasure she would give to her friends and neigbbours, purchased the tea with the few keepsakes and seven gold pieces the children had hoarded. She invited the neighbours and friends to show her wonderful treat one evening and when the tea was served it was discovered that the box had evidently come in contact with salt water and the tea was soaked through and through. Every time I would hear this story I would fearly cry my eyes out. John Nelson gave his services and his boat to the Confederacy. During absence from home, his wife, who had three children to care for, for two year�s kept the wolf from the door by boiling the saltwater of the Gulf in a large iron kettle on the beach in front of her home and used the salt obtained from boi1ng off the water to buy corn, potatoes, meat, etc. 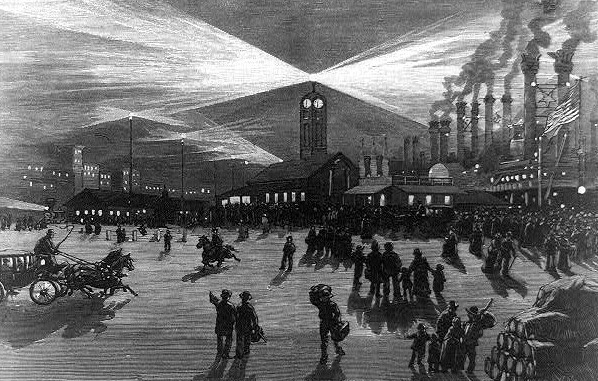 The salt mines of Louisiana were confiscated by the Federal so the back country had to come to the Coast for salt. As a child, I listened with wonder to the stories told by my mother of the great deprivation she suffered in the way of food supplies during this awful war. Tea and coffee was made by parching pieces of sweet potatoes and grinding them, using the same formula as dripping coffee." NOTE: Mrs.Jane Nelson told me that she felt more the bartering of the gold coins for the tea damaged by saltwater than other experiences during the war. J. C. L.
Catherine most likely was born in Newry where her parents (Laurence and Bridget) lived and were listed as merchants.